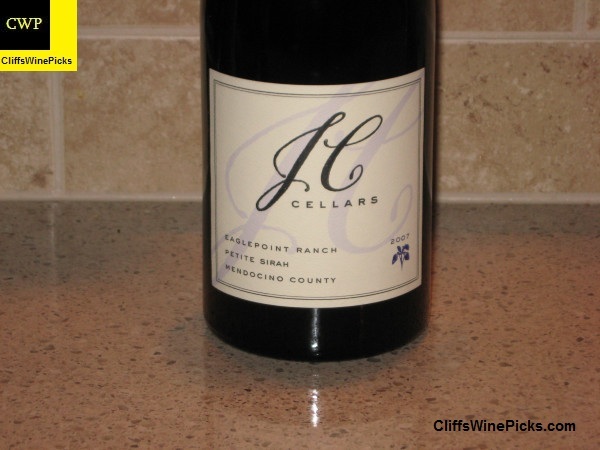 JC Cellars is a consistent producer of high quality, full bodied red wine and rich whites. I grabbed a few bottles of this wine at an end-of-vintage sale at the local wine store. I think it’s time to open one to see what I have. 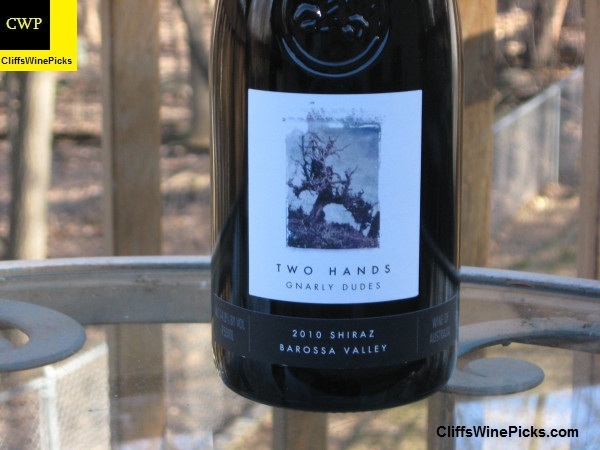 The Two Hands wines have been favorites in my house for several years. The Garden series wines are usually excellent, but have escalated in price. To me, the second level of the Two Hands wines are the real sweet spot in their lineup. High quality wines at relatively bargain prices. I grabbed a couple of these upon release and have been sitting on them for a few years. This is the flagship wine from one of the highest quality producers and a fantastic vintage, how could this not be outstanding? Well, opening it too early is the best way to have a less than stellar showing. I hope I waited long enough. 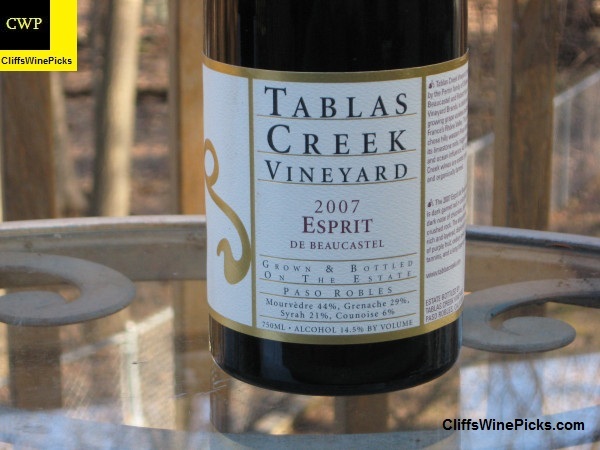 Tablas Creek is the realization of the combined efforts of two of the international wine community’s leading families, the Perrin family, proprietors of Château de Beaucastel, and Robert Haas, founder of Vineyard Brands. They had since the 1970s believed the California climate to be ideal for planting Rhône varietal grapes. In 1987, they began the lengthy process of creating a Châteauneuf-du-Pape style vineyard from scratch in the New World. The Tablas Creek Vineyard Partnership was born, with the Perrin and Haas families as majority partners, and French and American wine loving friends as minority partners. The partners searched California from the foothills of the Sierras in the north to coastal VenturaCounty in the south, looking for a close match to the Mediterranean climate and high pH soils of Château de Beaucastel. In 1989, they purchased a 120-acre parcel twelve miles from the Pacific Ocean in west Paso Robles. They named it Tablas Creek Vineyard, after the small creek running through the property. The property elevation averages 1,500 feet, and the shallow, rocky limestone soils are of the same geologic origin as those at Beaucastel. Summer days are hot and sunny, but the influence of the nearby Pacific cools the nights, and the remarkably Rhône-like Paso Robles climate allows the grapes to mature fully and yet retain crisp acidity. This wine is a blend of 56% Cabernet Sauvignon Pepper Bridge and McClellan Vineyards, 38% Merlot, Seven Hills Vineyard, and 6% Cabernet Franc. I bought one of these at the local store to try upon release, and immediately went back for more as soon as we opened the bottle. It was very young but equally as impressive. Time to see if a couple years in the cellar will be rewarded. 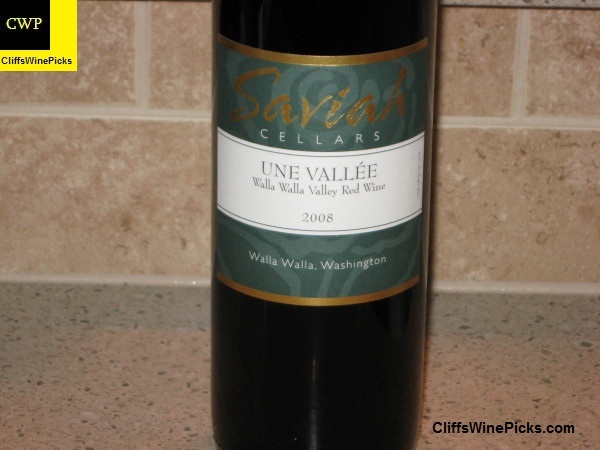 Saviah Cellars is a family-owned and operated artisan winery located in the acclaimed Walla WallaValley of southeastern Washington. The winery specializes in producing small quantities of ultra-premium wines that showcase the remarkable qualities of Washington’s finest vineyards. Founded in 2000, the winery’s first vintage was only 300 cases. Today, the winery produces approximately 9,500 cases of wine per year. Winemaker Richard Funk and his wife Anita, both natives of Montana, moved to Walla Walla in 1991. The name Saviah is a family name from Anita’s great-grandmother, a schoolteacher, artist and author, who settled in western Montana in the early 1900s. The family’s heritage is also reflected in its Star Meadows white wine, the location of the original family homestead, its Une Vallée® red wine inspired by the current family homestead called “OneValley”, and its Big Sky Cuvée® in honor of their Montana roots. Still receiving a lot of “save the date” messages, but not much in the way of releases…yet. Not bad, two cases with an average price of under $11 a bottle.